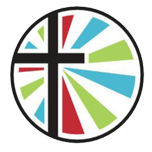 William Bradford Christian School (WBCS) is committed to providing a Christ-centered education for K3-12th Grade students. Our mission is to provide a Christ-centered learning environment that is an extension of the home. We strive for excellence by creating an engaging Christ-centered learning environment focused on teaching biblical truths throughout all content areas. Not only do we place importance on the spiritual and intellectual growth of each child, but also strive to develop every child physically, socially, and emotionally. Our goal is to prepare students to become productive Godly servant-leaders in our society. William Bradford Christian School faculty and staff are dedicated professionals here to teach, train, and mentor your child to become the person God desires them to become. As Christians living in an ungodly world, students are both spiritually and academically equipped to confidently share the reason for their hope and faith in Jesus Christ. William Bradford Christian School is located at 2320 NE 1st Street, Pryor, Oklahoma. To schedule a campus tour, please contact us at 918.825.7038. Check out the highlights from William Bradford Christian Schools' basketball team bringing home the state championship trophy OCSAA by clicking here.